Presentation software makes it easy to generate handouts but is that really the best way to make a lasting impression with your presentation? What works brilliantly on the big screen is often lost in the handout. 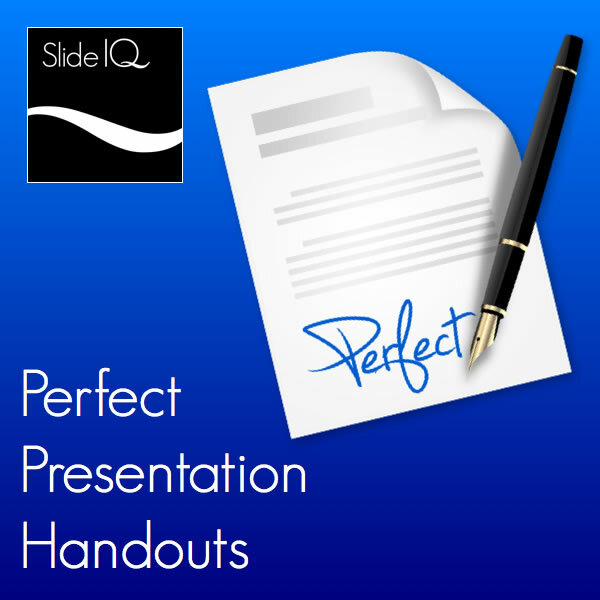 Let slide expert Elaine Giles show you how to take your handouts to the next level and leave the kind of impression on your audience you’ve always dreamed of.